It is with deep sorrow and humble acceptance of God’s will that we announce the untimely demise of Mzee Gideon Mwaka Kiveke (formally of Kenya Airways) which occurred on 2/5/2018 (after a short illness) in North Carolina (USA). Husband to Martha Sophia Mwaka. Loving father to Paul Mwaka (KRA Kisii Branch), Donald, Jayne, Rosemary and Horace, Lilian all of USA and Winfred Mbatha. Brother to the late Mueni, Late Mbulwa, Late Kilonzo, Late Mbithi, Late Wambua and Florence Muathe. Uncle to Monica Muema (Foreign Affairs), Ndunge, Dorcas, Late Paul (Tala Market) and Roseidah. Father-in –law to Horace Parkinson, Grandpa to Curtis, Gideon, Trevor, Parker and Sophia, he was also Grand greatpa to Mila. 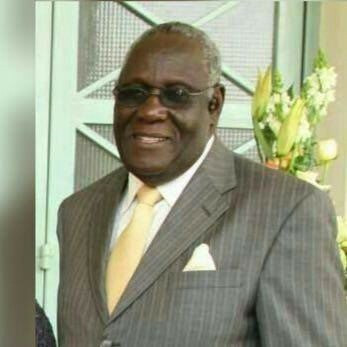 Family and friends are meeting daily at his home in Kikaatini Village, Sengani Tala, Can Can Hotel – Tala Market and Tumaini House in Nairobi starting from Monday 14th May 2018 starting from 6.00 p.m. for burial arrangements. Burial date will be announced later.